Stop Doing Things For Your Teachers … You're the Tech Coach! Are you tired of doing everything for your teachers? Learn 4 ways to empower your adult learner today! 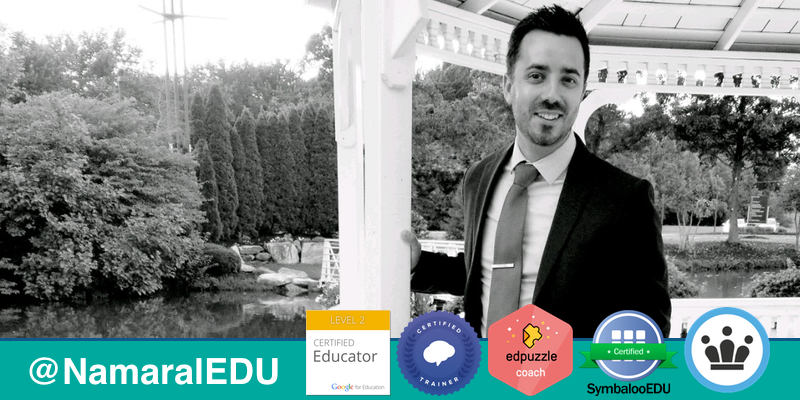 How Can You Create Systems To Help Automate Your Tech Coaching? Learn how to create simple to use and easy to follow business systems for your Tech Coaching duties to help you be more productive in the classroom. How Do You Change the Culture and Climate in your School District? 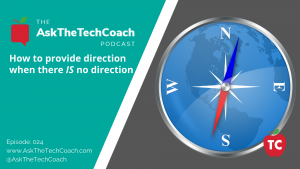 In this episode of “Ask the Tech Coach,” Jeff and Nick discuss the importance of not only identifying what school districts want their student and staff cultures to be but how to set up a successful roadmap to help everyone achieve their goals each year. 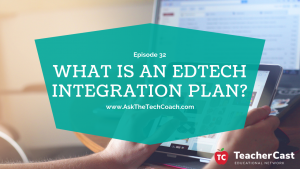 Why Does Your School District Need an EdTech Integration Plan? In this episode of “Ask the Tech Coach,” Jeff and Nick bring in the new year by discussing extremely important, EdTech Integration Plan. We all have heard of a Tech Integration Plan, but today we take a look at the other document that describes and discusses not only what will be happening with the technology once purchased, but how it will be used in the school district. If you are in a school district and are interested in creating your own EdTech Integration Plan, please contact us today by email or voice. We would love to work with you to help you create a fantastic professional development and edtech integration plan for your staff members. 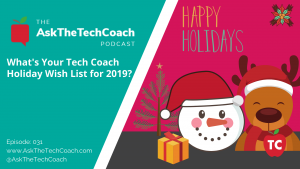 What is on your Tech Coach Holiday Wish List for 2019? In this episode of “Ask the Tech Coach,” Jeff and Nick are joined by Tech Coaches Kerry Gallagher, Sadie Lewis, and Claudio Zavala Jr to recap the year that was 2018 and look ahead to the new year by sharing their edtech tips, tricks, and app requests for 2019. 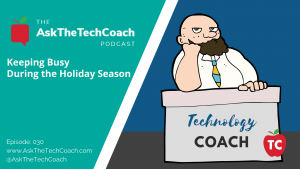 In this episode of “Ask the Tech Coach,” Jeff and Nick discuss the upcoming holiday season and share their list of 5 Important Things Tech Coaches can be doing during the holiday season. In this episode of “Ask the Tech Coach,” Jeff and Nick welcome members of the Tech Coach Mastermind to discuss why it's important for Coaches to have a solid support system with other Coaches. How Should You Prepare to Present a Multi Hour Presentation or Workshop? 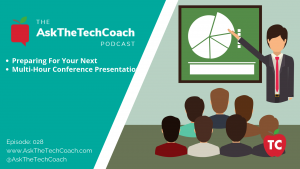 In this episode of “Ask the Tech Coach,” Jeff and Nick dissect the dreaded “multi-hour workshop presentation” and provide key tips, tricks, and strategies for your next large conference workshop presentation or school based professional development day. 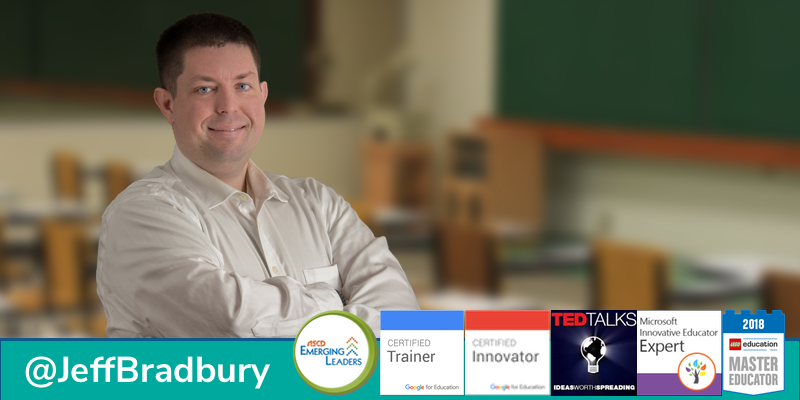 Learn 5 Of the Most Important Topics Facing Tech Coaches Today! 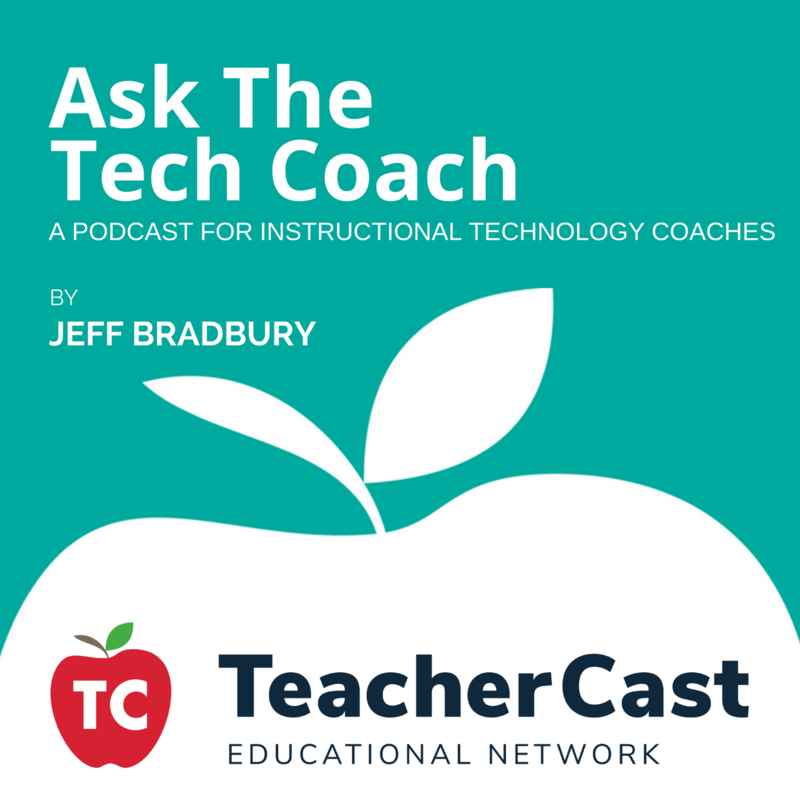 In this episode of “Ask the Tech Coach,” we host our November Tech Coach RoundTable where we bring on other Tech Coaches to discuss recent topics from our podcast. 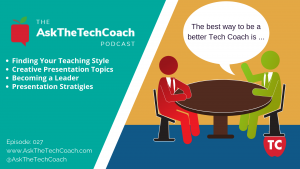 In this episode of “Ask the Tech Coach,” Jeff and Nick discuss different types of coaching styles and how a new Tech Coach can find his/her own voice within the position. What Makes a Great Presentation Topic For Your Next Faculty Meeting? 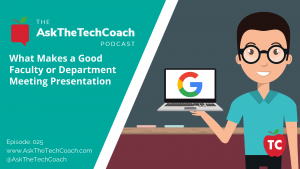 In this episode of “Ask the Tech Coach,” Jeff and Nick discuss how Tech Coaches can impress not just one teacher but an faculty by choosing and pulling off the perfect faculty meeting presentation. 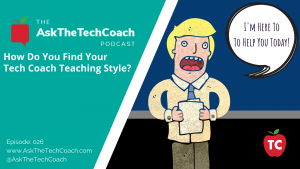 In this episode of “Ask the Tech Coach,” Jeff and Nick discuss the many hats that a Tech Coach wears during the day. It’s always important to remember that as a Tech Coach you represent not just the teaching staff, but the administrative direction of district policy as well.